A woman barred by a landmark Federal Circuit Court decision from leaving Warrnambool district and moving to Western Australia with two of her sons because of their Aboriginal heritage has described the ruling as reverse racism. 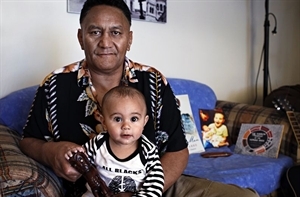 The court last week ordered that the boys, aged under 10, must remain close to their Aboriginal father in their cultural homeland and live with their mother. She must keep their principal place of residence in the “Warrnambool shire” unless both parents consent otherwise. The boys had a “casual” relationship with their father, who had previously abused drugs an alcohol and had battled mental illness. The judge said the father was not a person who felt bound by routine and order, but he had consistently involved the children with their extended family and Aboriginal culture. The mother is of European heritage and had planned to move to Western Australia to live with her partner, a Maori man, who is the father of another of her children, a five-year-old son not covered by the court order. “This is reverse racism and a restriction on my freedom of movement,” the mother told The Standard yesterday. The mother argued that her new partner had a stable and well-paid job in Western Australia, which would not be available in the Warrnambool area, and could offer the boys ­financial stability and a positive role model. Her partner, James Tioro, plans to protest by riding a pushbike from Perth to Warrnambool and call for more understanding between races, particularly Maoris and Aborigines. “This is an issue that affects all Australians,” he said. James Tioro met his partner two-and-a-half years ago while working on a windfarm project in Warrnambool, but moved to WA for better work prospects. “(In Warrnambool) you get paid $20-22 an hour compared with $50-55 for the same work here,” he said. 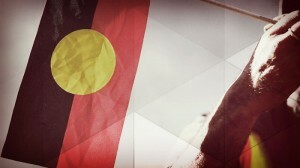 The two boys’ father, who has not had a full-time carer’s role in their lives for several years, had opposed the relocation saying it would cut connection to their Aboriginal heritage and traditional community which he fostered with the children during access visits. He brought the issue to court’s attention when the mother broke an access agreement a year ago by spending an extended period in Western Australia, intending to settle there, without telling him. Warrnambool district Aboriginal community elders Robbie Lowe and Len Clarke said the court ruling was a landmark for south-west Victoria and probably Australia. “It’s unique and I believe we’ll see more of this type of decision as courts see the need for recognition of culture,” Mr Clarke said. Mr Lowe, who appeared as a witness in the court hearing, welcomed the ruling for its cultural significance. “Once children are taken away from their heritage they lose their identity,” he said. In his ruling Federal Circuit Court judge Terry McGuire said: “It would not be an exaggeration to suggest that the focus of their education and cultural learning is through this Aboriginal community”. “I am satisfied the specific peculiarities of these children’s community cannot be substituted by involvement in another community in Western Australia,” he said. The Standard cannot identify the mother or children because of legal reason.